One who knows their Kpop will definitely be familiar with names of SM Entertainment artistes such as BoA, TVXQ, Super Junior, Girls’ Generation, f(x) and new group EXO. But do you know who are the ones who created their perfect dance moves that many fans follow and cover? Meet Shim Jaewon and Gregory Hwang of Beat Burger, choreographers at one of the most successful Korean entertainment companies SM Entertainment. Beat Burger returned to Singapore for the second time after their first club gig “GAJA!” at Butter Factory last December. This time round they were back for yet another “GAJA!” gig, plus their first ever dance workshop, exclusively in Singapore! The workshop may have been a last minute arrangement, but they proved to be attractive enough – approximately 80 students turned up at Copthorne King’s Hotel on 20th June for the one and half hour workshop in a day’s notice to learn from these masters. Those who turned up were greeted by the friendly & funny duo and their staff, and had their request fulfilled to learn the intricate choreography of MAMA by SM’s latest boygroup EXO. 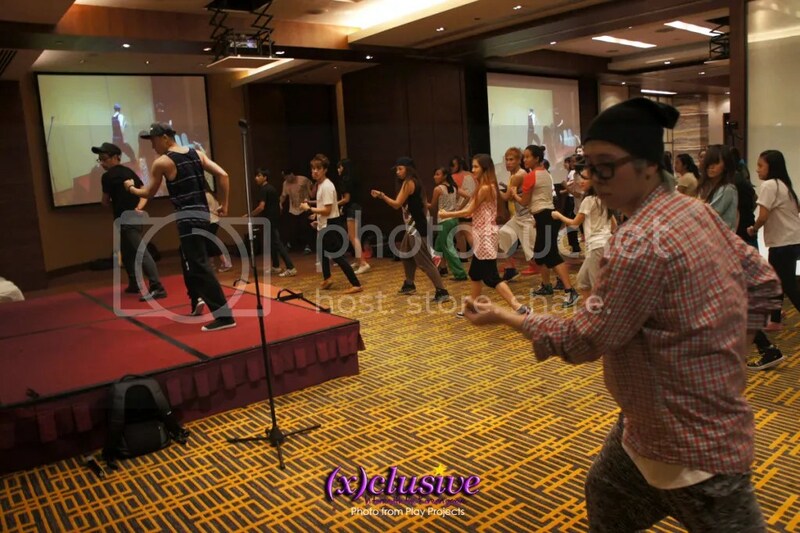 For the second half of the session, the students were also taught the original choreography for a verse from Super Junior’s Bonamana, which was labelled “Easy” by the teaching duo. Check out the video from the workshop! This event coverage is brought to you by the joint efforts of (x)clusive and Korea.com. Do follow us for more updates on Beat Burger and Kpop! ← tvN K-pop Star Hunt S2 Kicks Off On 2 July!